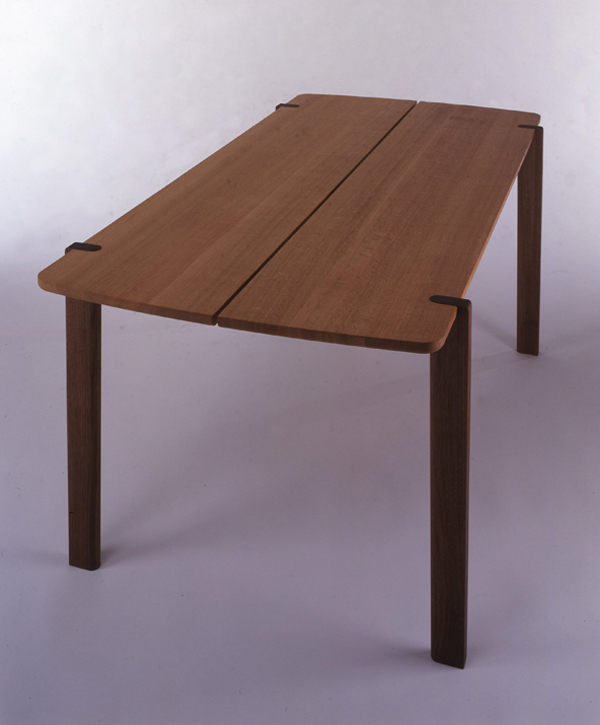 脚の樹種は天板と同じ種類にすることも可能です。 The contrast of dark color legs made of walnut and natural table top is pleasant. The chairs made of walnut match this table very well. The slit of table top is for not being affected by the elasticity of natural wood, and also the characteristic of design.